You are here: Home › News › Are Goals Worth Setting for the New Year? 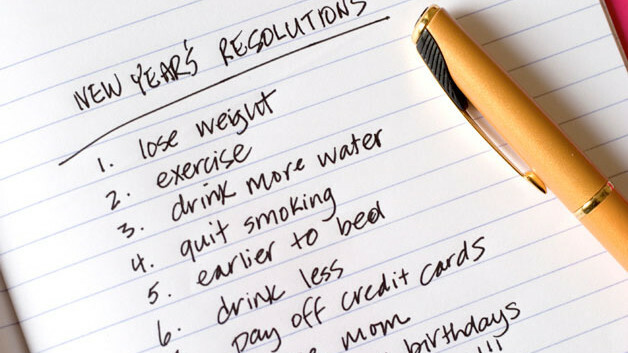 You’ve often heard that few people ever materialize those “New Year’s Resolutions”. As a result, you may have joined the millions who just blow them off and never set them in the first place. But, what you’re about to find out is… there’s a REALLY good reason to set and keep New Year’s Resolutions, in spite of what you’ve been told. There are also SOME people who maybe should set goals extra carefully for the new year. Some individuals (both teachers and students) should be cautious about setting “high” goals. Those who rate high on “perfectionism” often discover that their personal trait moderates, or can even undermine, the implementation of everyday intentions on goal progress. In kids, those who are very much a perfectionist may struggle with high goals unless there’s a clear, doable path with plenty of support. They will need constant “framing” to see it as worthwhile and possible. New Year’s goals are as good a time as any to set (or reset) goals. Teachers that are continuously setting short and long-term goals for themselves and their students tend to reach them more often, too. Many don’t set goals because they 1) lack confidence in reaching them, 2) they don’t have a clear path or plan to reach the goals, or 3) they fear failing at the task. Goals can provide hope. Hope uniquely influences students’ grade expectancies and in turn, grade expectancies influence academic performance. In contrast, the shared aspect of hope and optimism (i.e. goal attitude) had a direct influence on academic performance. Don’t worry about failure. You could succeed every day, your whole life, if you set your goals low enough. But that’s not a life worth living, is it? Let’s “flesh out” each of the items listed above. First, let’s begin with addressing WHO is setting the goals. There are 4 primary influencers on the goals your students have: teachers, parents, peers, and the kids themselves. Our teachers MUST set high goals for kids. If you let kids set their own goals, they’ll likely strive for what they already know how to do. Let kids set their own micro goals for the day. We can set goals as either written or spoken goals. Goals are simply our expectations. Group students in the classroom in ways that indicate the high expectations you have for them. Re-check the September 2013 bulletin for why “Gaudy Goals” are a good idea. Provide confidence for yourself and your kids with affirmations, goal oriented photos of success, feedback on the progress you make towards success and social support. Tell your kids WHY they can reach the goals. Say, “I know this might not seem possible now, but remember, there was a time when you did not know the alphabet or could not ride a bike. It takes time to reach goals. Plus, I’m on your side. Follow my plan and I’ll make sure you succeed.” Goals are milestones that you have to grow into, in order to reach them. Make the goals social. Kids can work with goal-buddies, teams can have goals, or even the whole class can work toward class goals. Make the progress visible with charts and verbal reports. Last month’s newsletter was on feedback. When you give your kids plenty of positive feedback (as well as some corrective feedback) they try harder, with more motivation to reach goals.